Among the many benefits of the slow de-centering of Europe when it comes to the study of the Middle Ages -- so that even when a project concentrates upon a single geography, the flows of people and animals and goods and even weather that connected it to a wider world must be better accounted for -- is that medievalists are reading more broadly than they used to. 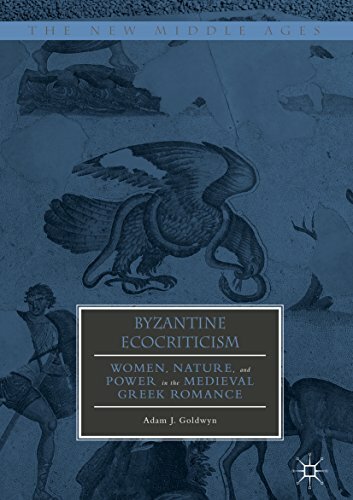 A major contribution to expanding shared conversation, especially around the topics foregrounded by the environmental humanities, is Adam J. Goldwyn's brilliant new book Byzantine Ecocriticism: Women, Nature, and Power in the Medieval Greek Romance. And here is my blurb for the book. I was very happy to endorse Goldwyn's work. 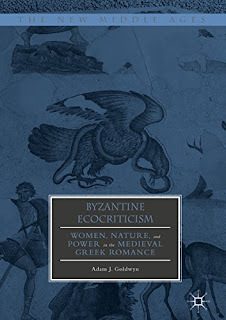 Lucid, compelling, and immensely learned, Byzantine Ecocriticism advances multiple fields at once: medieval studies, the environmental humanities, and critical animal studies. Examining with great brio materials that have yet to have been interpreted within a frame that underscores the agency of the nonhuman, this book is a needed addition to the growing body scholarship on the complexities of nature in the Middle Ages. 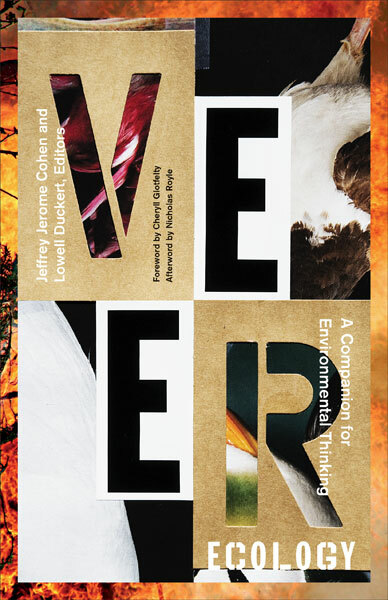 Anyone working on medieval ecocriticism will want to read this book. It is too expensive, as Palgrave books nearly always are (even the Kindle version is way overpriced) -- but this would be a good to have your library order on your behalf. The end of one year and the beginning of a new one is the perfect time to look backward in order to think about what might be ahead. At In the Middle, we look back farther than most. Or at least we recognize that we are looking backward, and we care a whole lot that we are doing so. In this vein, I am always impressed by my hometown of Philadelphia’s ability to look back at its 18th- and 19th-century glory days. I am also impressed by its ability to mostly ignore everything that came before. 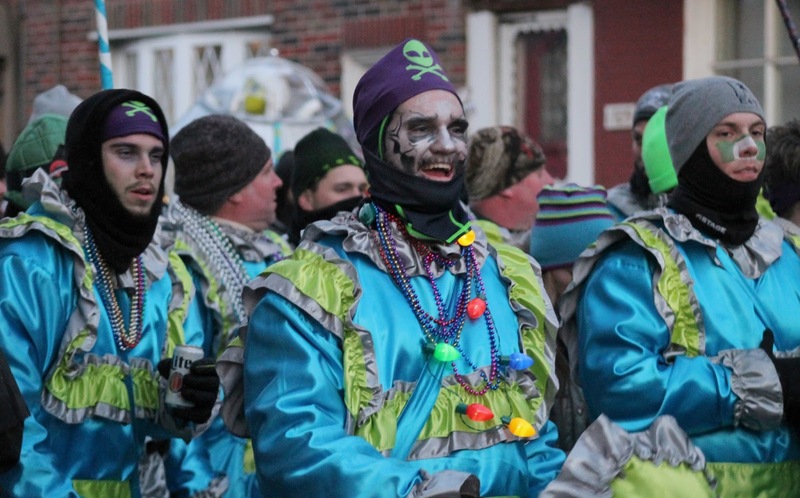 Every year, the city’s New Year’s Day celebration is characterized by the Mummer’s Parade. It’s been described variously as Philadelphia’s Carnival, its Mardi Gras, the oldest extant folk festival in the United States, or (by my father) as “a parade of drunks marching down Broad Street.” It is a colorful daylong affair processing from traditionally ethnic (e.g., Italian, Polish, Swedish; with more recent African-American, Cambodian, and other communities of color) South Philadelphia north through Center City to the judges' stand at Philadelphia's Second Empire Baroque-style city hall. 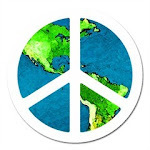 New Years Associations, as the participating organizations are called, work intensively for an entire year to prepare. Beginning within a week after New Year’s Day, associations decide on next year’s theme and begin to decorate costumes with massive numbers of sequins, satin, mirrors, feathers, and ostrich plumes. A string band performs on Jan. 1, 2017. The exact materials and kinds of preparation depend on which of the five categories the association will perform and compete to win: fancies, comics, wench brigades, string bands, or fancy brigades. 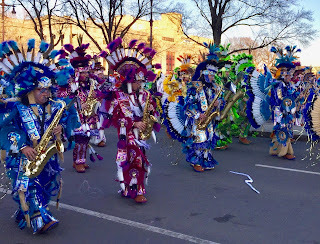 They process through the streets with brass bands playing traditional Mummers music or, if string bands, playing string instruments and performing sophisticated choreography. At night, the Broadway-inspired Fancy Brigades competition, with full soundtracks, powerful speakers, very sophisticated choreography, and significant tech support, takes place inside the Pennsylvania Convention Center. It is common for commentators during the all-day-long television coverage to bring up the parade’s 18th-century history: that George Washington took part in the New Year’s Day visiting tradition that is one of the modern parade’s roots, that organizations such as the 2nd Street Shooters New Years Brigade are so named in honor of the early American tradition of shooting your firearms in the air on New Year’s. The Mummers’ history goes back much farther than the European settling of North America, but to listen to the commentators and the Mummers themselves—many of whose families have been involved with the parade for generations—one would think that mummery was born with the United States in the 1600s and 1700s. This can be attributed to regionalism and nationalism, to be sure. 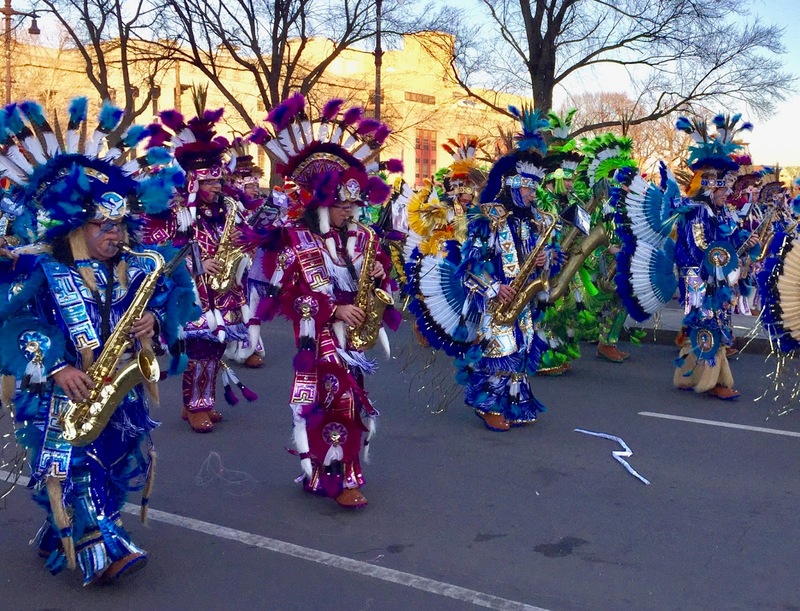 When the city wants to promote its local culture and when the Mummers organization wants funding, endorsements, and media coverage, it is a more convenient story to say that mummery is an American and Philadelphian tradition. And neither of those places begins to appear in anything like their current forms until the 1600s. But mumming was alive and well in medieval Europe, and is a tradition brought over to the American colonies by Swedes, Finns, the English, and Germans, among others. It had multiple forms, from full-on plays not so different from the Corpus Christi plays well known among scholars of medieval England to the English mummery play tradition, from which the modern Philadelphian name is derived, that involves visits to houses or pubs in which smaller scale plays, often featuring St. George slaying the dragon, are mounted. The mummery plays, like the modern parade, often occur during the Christmas season. The Mummers’ largely medieval provenance is often skipped over in favor of its more modern roots or sometimes in favor of its classical origins: there is evidence that the tradition has roots in folk traditions as early as ancient Egypt. This year, TV commentators were sure to mention the classical history. But, as those of us who are medievalists know, to mention a tradition’s classical roots in ancient Egypt, Greece, or Rome resonates very differently than mentioning the medieval past. Classical antiquity, reflected in our most august institutions—from my city’s Philadelphia Museum of Art to the national Capitol, the White House, and Washington DC’s other federal architecture—fits right in with the glorious national story that positions the US as the manifestation of continually progressive Western Civilization. 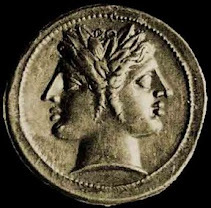 Classical antiquity represents power and progress. The Middle Ages not so much. In many Americans’ lives, the Middle Ages is most alive in fantasy—from The Lord of the Rings to Game of Thrones to, for those of us with young kids, Disney productions. The first two examples demonstrate that the Middle Ages, even when it is the setting for stories of glory and triumph, is also dirty and dangerous. When it is innocent and cute, it may also be, like the hobbits, naïve. Game of Thrones demonstrates that even when the Middle Ages are glorious and beautiful, they are also, like Daenerys’ and Cersei’s politics alike, brutal. Disney, perhaps alone, depicts the quasi-Middle Ages as almost entirely delightful. Yet Disney’s depictions are more historically amorphous than either J.R.R. Tolkien’s or George R.R. Martin’s works. Disney’s castles evoke the Middle Ages, but its characters’ dress is often closer to 18th- and 19th-century attire. Mummers perform on Jan. 1, 2018.
modernity as dirty, crude, and undesirable and lambasted in some medieval clerical texts, too—receive little mention in modern America. Only a few generations later, on the other hand, their descendants are America’s founders. They are to be revered and their traditions continued and emulated. To skip over the Mummers’ medieval history is to ignore a part of the tradition’s past that is considered undesirable. History, however, is sedimented. Any tradition’s past is layered with different iterations and contexts: each feeds into and shapes the next while each also colors the reception of those that came before. Properly understanding a tradition requires at least trying to avoid skipping layers. There are other parts of the Mummers tradition that are regularly omitted, too. While the parade is still commonly accused of racism, and its organizers have worked to make it more inclusive—since 2013 it has included its first ever entirely LGBTQ association—the fact remains that blackface was a common part of the tradition from its 18th-century glory days until the Mummers organization outlawed it in 1964. Incidents occur that get close even now, such as a performer wearing green-face with an afro. Local commentators nor current Mummers tend to mention blackface when they talk about the parade’s history. Even when they are willing to talk about the continued use of controversial Native American, “Jungle,” or “Voodoo” themes for some of the performances, blackface is usually left out. To me, it says a lot that the parade’s medieval and racist histories are often omitted—together. Lately, the connection between the Middle Ages and race is getting a lot of attention. Thanks in part to last year’s Charlottesville protests, the racist cooptation of the Middle Ages has been laid open to view. But the parallelism of prejudices against people of color and against the Middle Ages are far less often recognized. 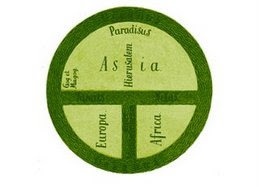 I find that we understand (and counteract) racism best when we look for cultural interstices, nodes, at which we can see the connections between temporal and racial prejudices. In addition to such obvious nodes as Alt-right medievalism, less obvious iterations include hiring patterns in which a person of color is less likely to be hired into an academic job that is not in ethnic or African-American studies and equally disturbing hiring patterns in which medievalist positions, especially in departments such as French, regularly go unfilled. In all too many cases, the Middle Ages and people of color are treated as things to be dealt with, crosses to be borne. Matters to be avoided if at all possible. The Mummer’s Parade, a tradition filled with childhood memories for me and a living manifestation of the period I study, is also one such node demonstrating the dynamic interplay of the temporal and racial prejudices I have devoted my life to striving against. Maybe that’s why I like it so much. Or maybe it’s just the sequins.